On Saturday afternoon we set out to a local school hall for My Boy's third karate grading. It was the first time I've been - the first (red belt) was just after my surgery and the second (yellow belt) when Little Miss needed to be ferried elsewhere for a party or some such. 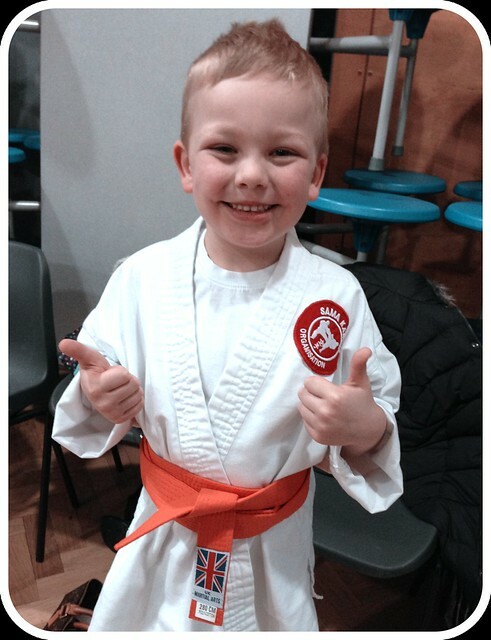 I don't mind admitting that I was far more nervous than our little karate kid - when D asked how he was feeling he was told in no uncertain terms "I've been practicing for months, of course I'm going to get my orange belt!" Such confidence. It didn't stop me having a huge lump in my throat when all the yellow belts were called into another hall without us. His face said it all when he came back out - he was "very proud" of himself. Me too. Congrats to him on earning his orange belt! And proud you should be! As a mother to four children myself, I am all too familiar with that lump in the throat feeling. And what a cute little boy he is! I love his big old grin! Addi Clicks! My favorite needles ever! I actually don't own any other brand any more. I have a set of regular tip clicks and several sets of fixed Addis from before I was gifted my clicks. I still use those fixed sets--especially my 1,2 and 3's as my set of clicks start with 4's. Enjoy and happy speedy knitting! Oh! I just looked at your facebook page and I adore that pattern--I think my son's girlfriend would look adorable in it. 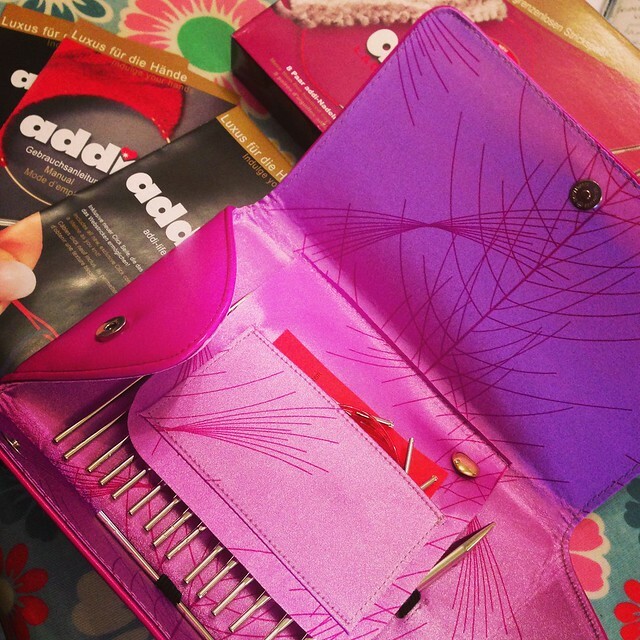 Addi clicks - oooo la la. Lucky you!! This one is such a handsome boy! Congrats!